Nick Trueman has been appointed head of global investment management services at T. Rowe Price for Asia-Pacific, succeeding Scott Keller. 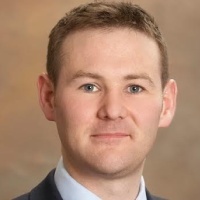 T. Rowe Price has named Nick Trueman as the head of its Asia-Pacific distribution division, known as global investment management services (GIMS). Mr Trueman replaces the current head of GIMS in Asia-Pacific, Scott Keller, who will become the head of GIMS for Europe, the Middle East and Africa from 1 January 2019. Mr Trueman, who is currently the head of Asia ex-Japan Institutional and member of the Asia-Pacific Executive Committee, has 17 years of investment management experience, 10 of which have been at T. Rowe Price. He is based in Singapore and will report to Robert Higginbotham, who is head of GIMS and based in London. Head of GIMS Asia ex-Japan Intermediaries Elsie Chan will take on a newly created role as head of GIMS Asia ex-Japan.